We know that established social media channels are the quickest and most immediate way to share news and content with audiences. 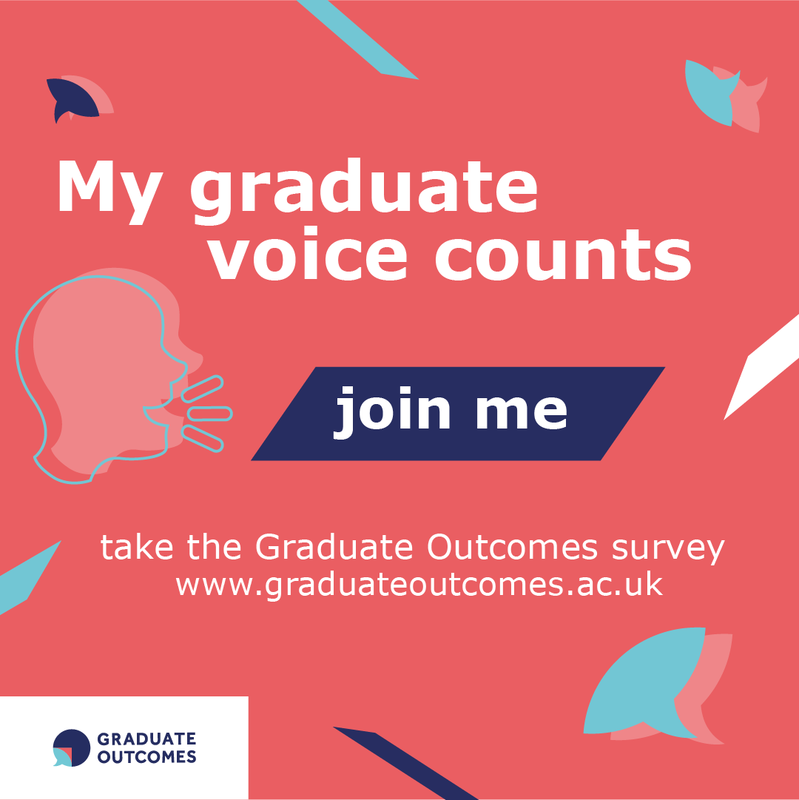 For Graduate Outcomes, this will be a key approach – using your providers’ already established audience of recent graduates and creating an engaging dialogue with them about the survey. To support you in using your social media channels to promote the survey, we’ve created some additional resources for you to use and personalise. 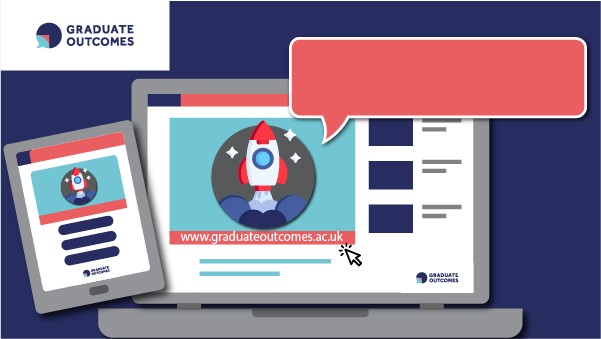 It's suggested that using images and short animations in your posts will give you more engagement (views, likes, retweets) with your content, so make sure you use our official Graduate Outcomes animated video. This is the perfect resource to share over the year which explains more about the survey. Make the most of your social media account real estate by using the header image space at the top of your page. This area captures attention of followers and allows you to share information about a campaign that stays there for a fixed period (until you change it!). To help you make the most of this, we’ve created generic header images for Twitter, LinkedIn and Facebook. We are making these available in *.ai and *.png format, to allow you to customise them regardless of the software you have access to. Original artwork in Adobe Illustrator *ai format is included in these zip files, should you wish to develop your own concepts. Each design is available in both English and Welsh, with a plain or graphic background and in all three colours in the palette. Use images with your social posts to shine the spotlight on your content! We’ve already shared a number of graphics you can use and adapt for social media on our promotional materials page. We will be sharing lots of engaging social content from our Graduate Outcomes Twitter and LinkedIn accounts so either retweet or quote tweet these from your accounts or save the images and post them yourself! Another reason to ensure you’re following our accounts. 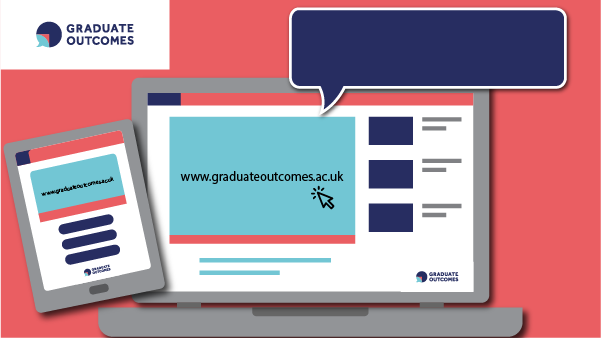 To get you started, we’ve created some Twitter templates to support you in promoting the launch of the dedicated Graduate Outcomes website. We know the influence peers have on each other – especially on social media. 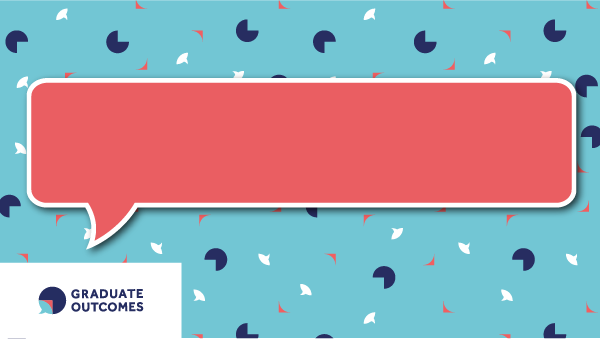 To encourage graduates to share their support for the survey, we’ve created a set of simple social share images telling others they’ve taken the survey. The idea is, graduates will share these images on their favourite social media channels to help us get the message out. 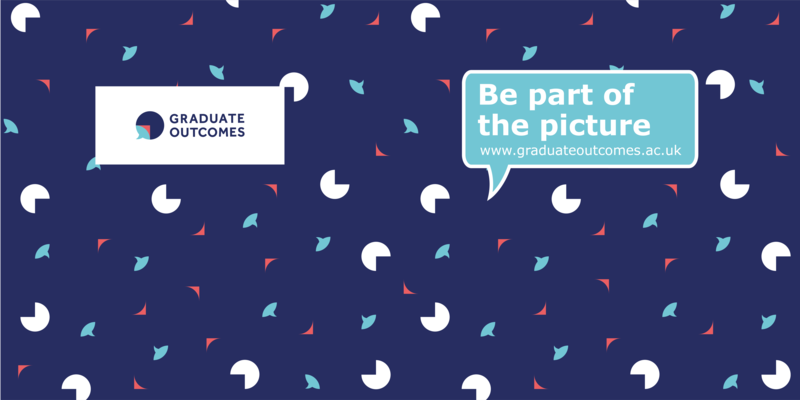 These images are also on the Graduate Outcomes website which is designed for graduates and we’ll be encouraging their use on our social channel – but you can do the same! 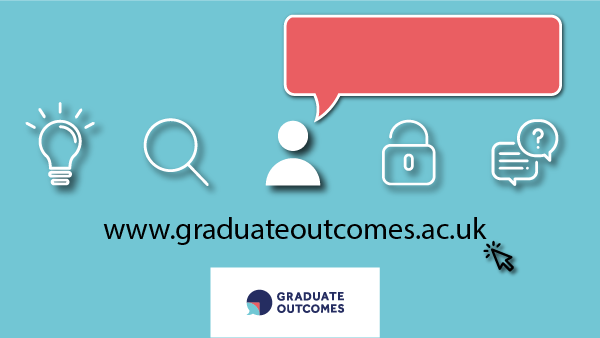 Instruction: Simply save the image, choose your channel, upload it and include #graduateoutcomes and / or mention us @grad_outcomes in your message. We have created identical images in English and Welsh for Twitter, LinkedIn, Facebook and Instagram. We want these to be consistent for brand awareness we have only included *png files (not original artwork files). We’ve created some sample tweets to support your own activity. Simply personalise them in the suggested places and adapt them for other platforms.